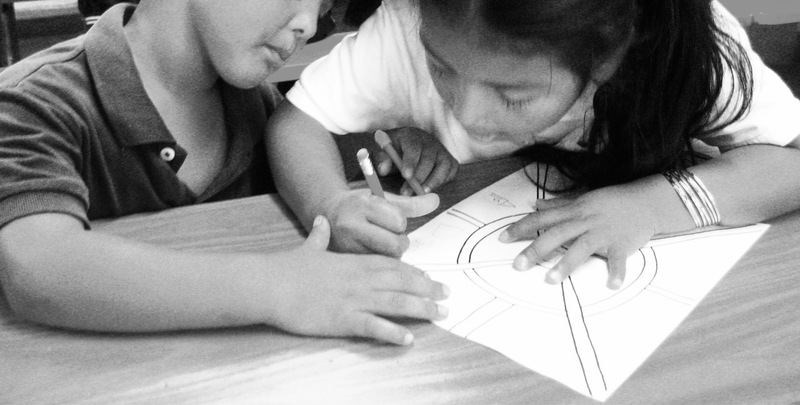 Living Histories is a Los Angeles based non-profit that facilitates community based learning. We are comprised of mentor-teachers that are professional artists, writers, entrepreneurs, designers, college professors & filmmakers. We exist to help youth & adults find their true voice and potential. Founded in 1998 by Elizabeth Converse , a professional artist and teacher, Living Histories has developed award-winning project based curriculum and programs that specialize in the areas of art & creativity, entrepreneurship, local history, writing & literacy, and personal growth. We believe in something we call the “Five C’s”: creativity, community, challenges, choices, and character. All of our programs integrate these ideas, utilize project based learning, and are built around the goal of helping our students identify their own unique voice, and in turn, use that voice in service to their larger community. Most of our work takes place in community based settings throughout Los Angeles and Orange counties: in public and private schools, after school programs, park & rec centers, group homes, community centers, and college campuses. We believe that everyone should have the opportunity to learn and live up to their fullest potential, and that community based learning is a tool to improve the quality of life. Our programs are geared to both K-12 aged youth, and adults of any age. Living Histories started out as an organization named “California Living Histories” that specialized in after school programming, working extensively with Pasadena LEARNS in the earliest days of the PUSD’s after school program. In that capacity, we have worked with nearly every elementary school in Pasadena Unified, as well as several of the district’s middle schools and high schools. From there, during the early 2000s, we branched out to other community focused centers in greater Pasadena, working with a wide range of community groups, and taking an active role in the Northwest ECHO program that was designed to provide youth with alternatives to gang involvement. We facilitated a wide variety of programs the helped students tell their own unique story, and share their larger community experience. See some of our links below for examples of some of these programs. Around 2009, we expanded our geographic reach, and now primarily work with communities in south and east Los Angeles, as well as with projects in Pasadena and select locations in Orange County. We provide a wide variety of programs and classes (check out a listing of some of our classes for more details), working, on average, with close to 1,000 students each year. What we do day in and day out is varied: we provide workshops and classes for our program partners, we facilitate and host community art exhibits and speaking series, we consult for other organizations, we provide teacher trainings, and we write curriculum. We are committed to the idea of empowerment through community learning, and approach it from many different angles. Our team is headed up by Brande Jackson, who has served as executive director and program manager since 2009. Prior to serving in this role, Brande had taught in the afterschool community for eight years, and was a collaborator with Living Histories as well as a curriculum designer and writer. Our classes, workshops and programs are led by mentor-faciliators who come from a wide range of backgrounds, all committed to the idea of sharing their knowledge and guiding students. We very much so believe in bridging the gap between community members with expertise and skills to share, and the students they would love to mentor. Our partners over the years have included the Pasadena Unified LEARNs program, the Flintridge Foundation, Youth Policy Institute, Collective Voices, arc, the city of Pasadena, numerous schools (primarily LAUSD, PUSD, and charter schools) and parks & rec programs throughout Los Angeles County. For more information, and to learn how Living Histories can work with your site, please contact us.